Q1. 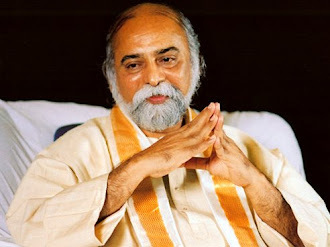 Bhagavan can you please let us know for those of us who might not be able to come to India in the near future what are your guidelines for the best way for us to share your mission and also how will we deepen our own state. 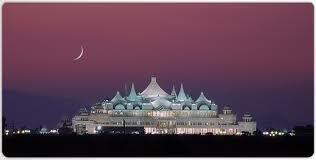 The Trainers in Australia will be trained to guide the blessing givers there. So there is nothing to worry about. If you cannot come to India, there is no big problem because we will soon be training the trainers like Lisa & Pasquo and others who are there and they will actually be able to guide the people there. Besides we will be having these kinds of conference calls or skype calls where it is possible so I will be directly guiding you all. So there is nothing to worry about. I will be directly involved and when I talk to you it is called Level 3 so I will be directly guiding plus the country's local oneness trainers will also be able to guide you. Q2. Bhagavan can you go more deeply into what you mean when you say we need to be in awareness? First we must become aware of physical activity simple things like walking - we very often walk mechanically, we are not aware of the actual motions of the body. When we breathe, we are not aware of how the body is breathing. The example which is often given is washing your feet - you do it very mechanically without experiencing all the sensations. You must start there. Or when you are having a bath. With all physical activity, you must increase your awareness. Now, if awareness increases with physical activity and it continues for a period of 21 days it causes a break. The awareness must be for a total of 49 minutes a day in multiples of 7 - 7 minutes, 14, 21, 28, like that, which would mean multiples of 7 up to 49 minutes per day and if it is done without a break for 21 days we become intensely aware about physical things. Then you must apply the same thing to becoming aware of what is going on inside. Inside there are things going on of which you are not aware. Actually, what you call the problem is not really the problem. The real problem is inside. Actually, if you begin to become aware of the mental processes, you will soon discover there is a lot more to what you call a problem that exists. If you stay with inner awareness and as the journey continues, you will discover many, many things and at the end of it what it there is the absence of conflict. So, to practice this awareness you must start with physical awareness and then inner awareness. Thereafter, whenever you want, you can go into this awareness. It will be like a torchlight which will show you what is going on inside. When you see something, you will become free. Like for example you might assume that there is a snake in your room. You will be all worried and jumping up and down and then, if you have a torch and you would apply it, you would see that it is not a snake but a rope. So instantly fear is gone. It does not take time, energy or effort. Similarly, if you go on watching inside what is going on, what you will find is, without consuming any time, energy or effort, the fear is gone, the anxiety is gone, the suffering is gone. To see is to be free. That is all you need to move on the path of awareness. As you practice it, I will be guiding you more and more on our conference calls like this or on skype. Q3. Bhagavan can you tell us the role of the feminine and the masculine energies that are shaping the experiences of humanity right now and how it will shape the future? We can talk of the right brain as masculine energy and the left brain as feminine energy depending on what culture you are using to see that. So, of the two hemispheres of the brain, one deals with the female energy and one deals with the male energy. Similarly, in terms of kundalini, we recognise two channels running along the spinal column. One is called the moon energy, one is called the sun energy. Again, this is the male and female sides. Then we have order and disorder, order is construed with male energy and disorder with female energy. Just order cannot be, you need dissolution. This is exactly what I am trying to set right. I am trying to de-control things so as to bring it to 50/50, 50% control 50% flexibility. That is the correction I am now trying to do. From now on to 2012 or 2014 I am trying to bring it down to zero control and full flexibility. In the case of our human way, when flexibility becomes zero and control becomes 100% the person dies. The same with an organisation. When flexibility becomes zero and control becomes 100% it dies. I want to save our organisation before this happens. So first I am trying to de-control things, handing over power and teaching to the people themselves. That is why I said I have no successor. The people are the successor. And the next thing is, by the time of 2012 or 2014 when all control is down to zero and flexibility is to 100, oneness is ever young, is ever fresh. But then, people ask me what about control? Control is not required because by 2014 you will be so mature you will be like enlightened people. Enlightened people are actually extremely flexible people. They are more like children. By then, they do not need to have control because they are enlightened. They are in high awareness so they don't have control, they have maximum flexibility. And there is no danger from the flexibility. Similarly, all of you will move into a state where there is absolutely no control required. You will have complete flexibility and oneness will shine within you. That is why I am saying we will dissolve oneness. And after this the world will use more and more feminine energy. People in the world will undergo de-control in education, health, maybe medicine, governments, economy, all things are going to embrace the female energy and unless that happens there is not going to be an economic recovery also. We are not going to come out of this culture until and unless the female energy is embraced. So we are also going in that direction. So now female energies are also creating more flexibility and a lot of awareness. That is why I am asking you to practice awareness. After you start practicing awareness, then awareness should not be practiced, it should happen to you. After next week I will be guiding you through all these points. To help you understand the interaction between male and female energies. Q4. 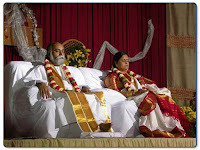 Bhagavan will our country coordinators advise us when your new programs are ready for us to attend in India or do we just contact India direct? The national co-ordinators will be the people who will be in between the headquarters in India and each country. The national co-ordinators are the points of contact. They will guide you on all matters. So contact the national co-ordinators to get all information. I am very happy to have spoken to them I send them my love and I love them all and hope to meet them again very soon. Thank Bhagavan. Will we be having meditation with you now? Dearest Bhagavan thank you so much this evening for sharing your wisdom and your love and blessing with us all . Many "Thank you Bhagavan" and "I love you Bhagavan" from the Blessing Givers.